Happy Friday! Hope you are all looking forward to the weekend; I know I am. There will be salsa dancing, cooking, practicing calligraphy, seeing a few friends, and trying to motivate myself to exercise. But first, I want to share with you a recipe I made last week that was inspired by a recipe that Isabelle pinned for Roasted Cumin-Lime Carrots. Instead of carrots, I used asparagus. Since the asparagus was thin and tender, I decided to pan-roast it instead of heating up my oven. I also left out ground coriander, because I did not happen to have it on hand, and used queso fresco cheese and cilantro rather than mint and green onions. This side dish comes together incredibly quickly and is as good right out of the pan as it is eaten cold, straight from the refrigerator. I hope you add this recipe to your repertoire of green side dishes. 1. Heat oil in a pan, add the asparagus and saute for five minutes. 2. 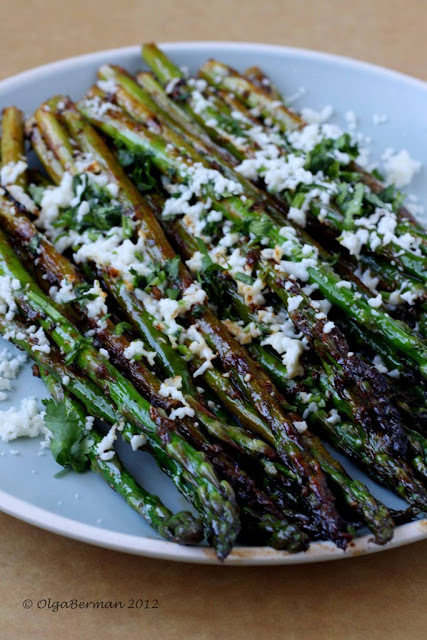 Add all the other ingredients except cilantro and queso fresco and saute for another five minutes until the asparagus has softened and the spices, lime juice and honey have formed a lovely brown glaze. 3. 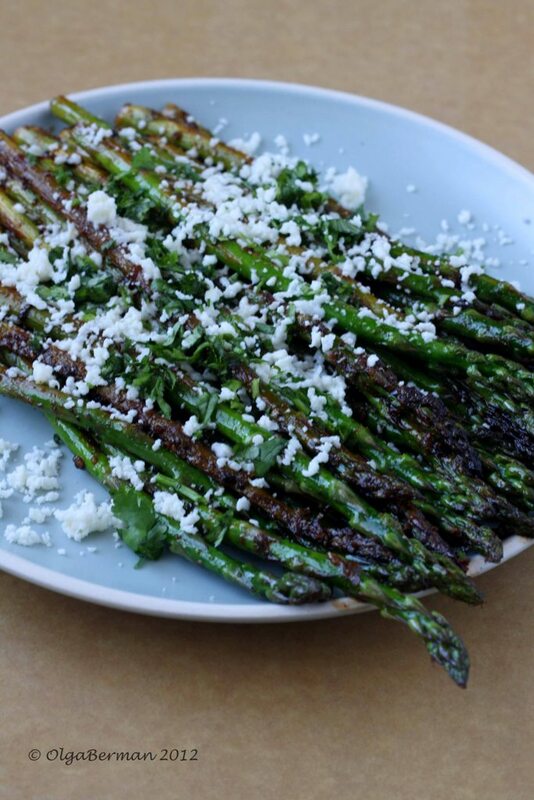 Remove asparagus from the pan onto a large platter and top with cilantro and queso fresco. 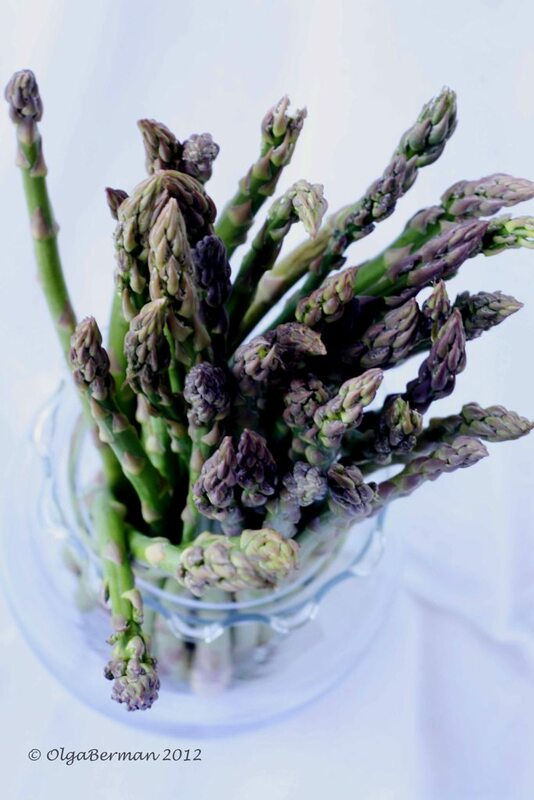 The cheese will start to melt as soon as it touches the hot asparagus and will add a bit of saltiness to this spicy and sweet dish. The flavors are incredible. You can try the same formula with zucchini, broccoli, or obviously with carrots, as the original recipe intended. 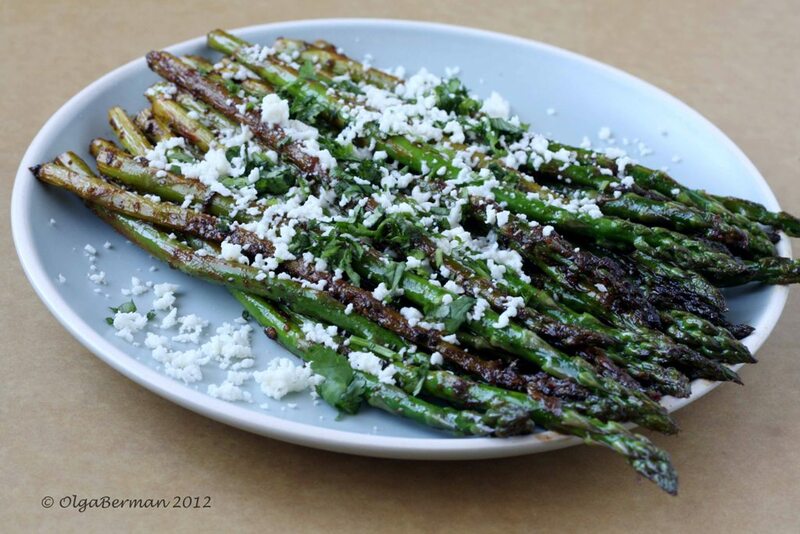 What's YOUR favorite way to cook asparagus? 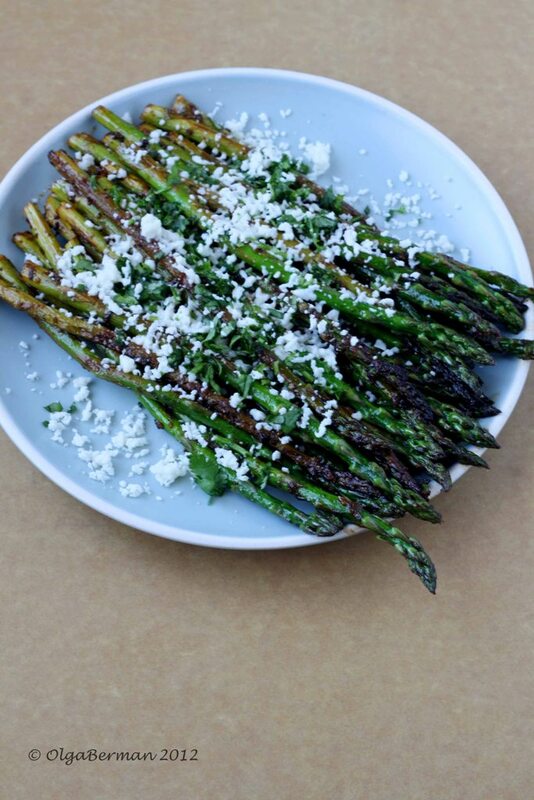 What a wonderful way to enjoy asparagus!! So beautiful! It's almost asparagus season and I'll be glad to try this. Such a gorgeous side dish! I love the addition of queso fresco. Thanks! the photos don’t really do it justice: it looked better in person ;) You’ll have to make it to find out. Yum! I will be making and promptly eating this weekend. Just happen to have all of the ingredients on hand. Well, how fortuitous! Please let me know how it turned out. 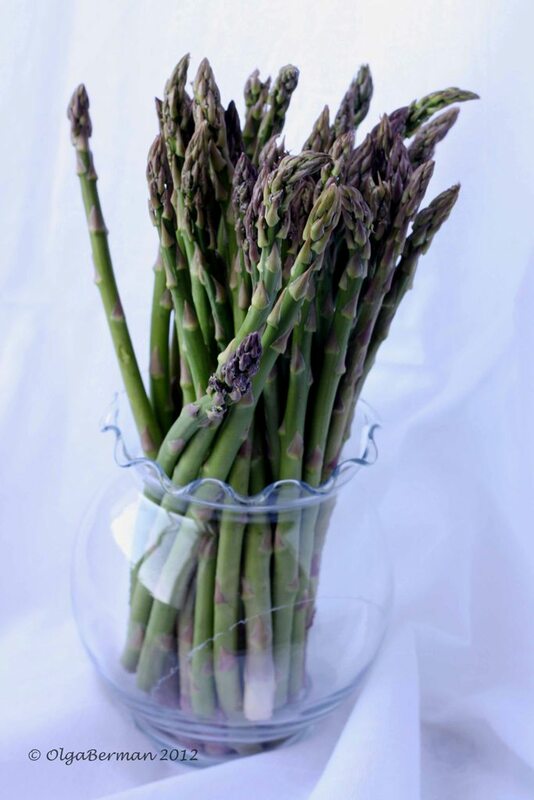 The first asparagus: Don't mind if I do. Happy (not quite) Spring! I just made asparagus tonight, but my standard oven roasted version. This looks like a good change for next time I make it. So good! Ended up putting it on bruschetta with a bit of soft gorgonzola cheese and a drizzle of honey. Amazing. I hope to get myself out for a run at least.